I’ll be honest, I’ve been a procrastinating, last-minute-woman for most of my life. You’ll usually find me on my phone Googling recipes the night before I need to cook a big meal, and this Christmas is no different! Here’s the good news. 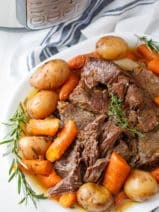 If you’re looking for a few last minute recipes (savory and sweet) that are DEAD SIMPLE to whip up for Christmas Eve or Christmas Day, I’ve got you covered. 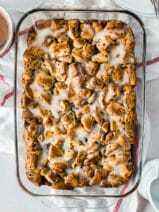 All of the recipes listed below are personal family favorites that I’ve made countless times. Merry Christmas! 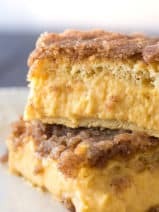 This classic holiday appetizer never gets old in my family. 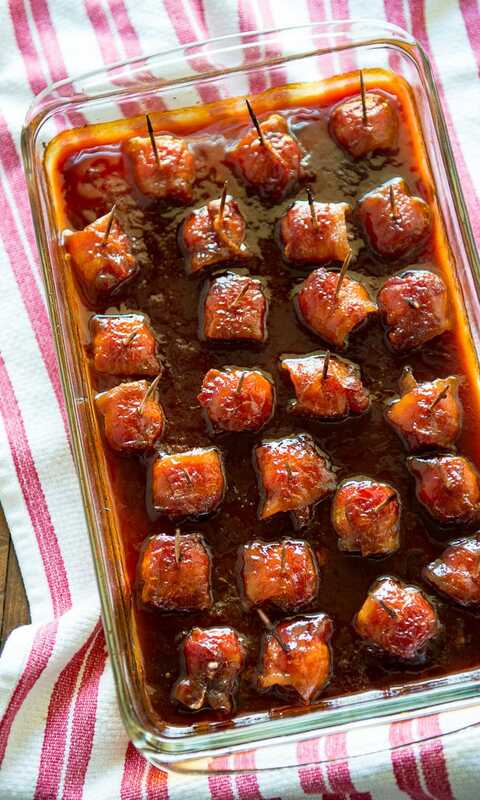 It’s a tradition to make bacon-wrapped water chestnuts. My mom has made a batch every year since I can remember, and now she’s passed the torch to me. These are completely SCRUMPTIOUS! 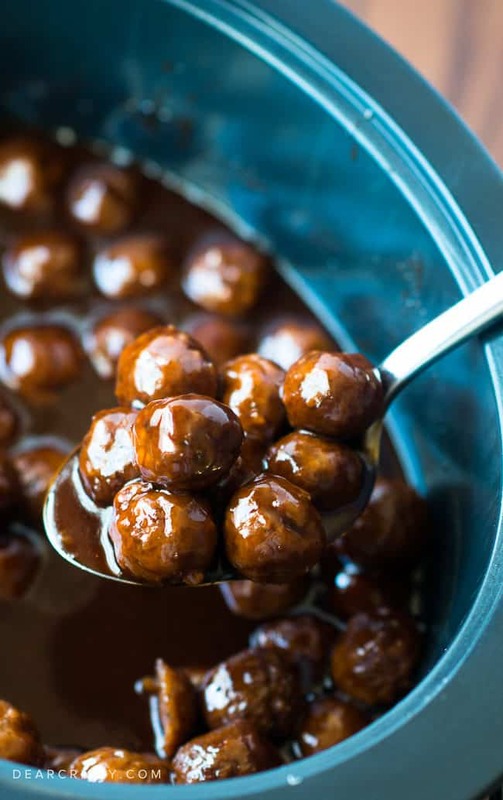 This Crock Pot meatballs recipe is a bit of a no-brainer, but, so easy to make for Christmas and always loved by all. Just toss a few key ingredients into your slow cooker and you’re in meatball heaven! Again, such an easy Christmas appetizer recipe! 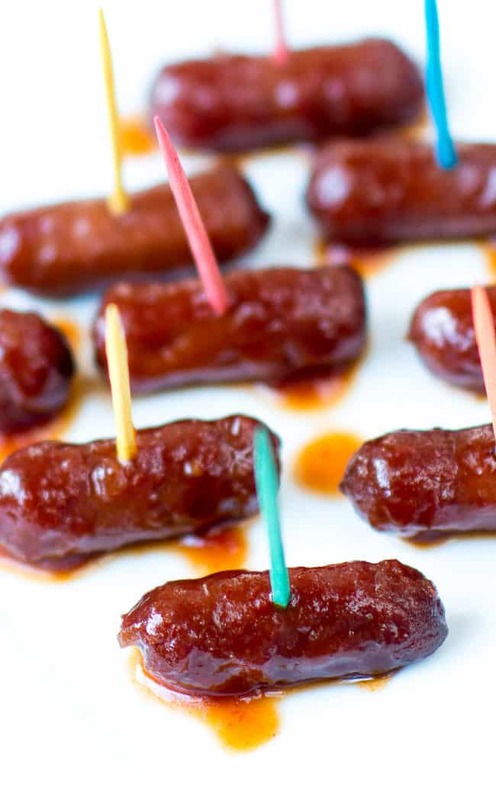 Make these Crock Pot little smokies in a snap. 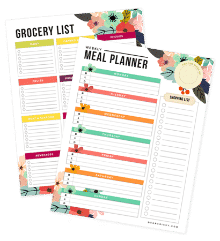 You still have time to run to the store to get the ingredients you need! As far as Christmas cookies go, this Christmas Gooey Butter Cookies recipe is VIRAL on my blog right now! This is currently my hottest recipe, and for good reason. 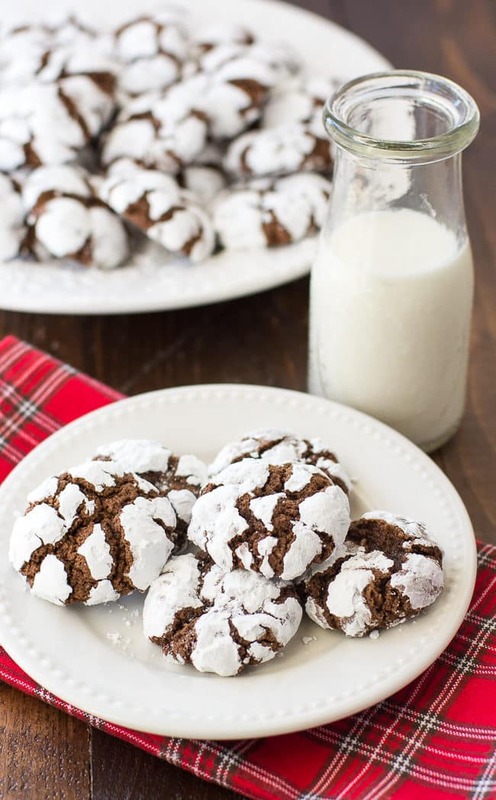 These cookies are simple to make and taste amazing. All you need is a cake mix and a few more ingredients. 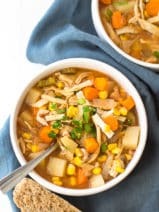 Do not miss this recipe! 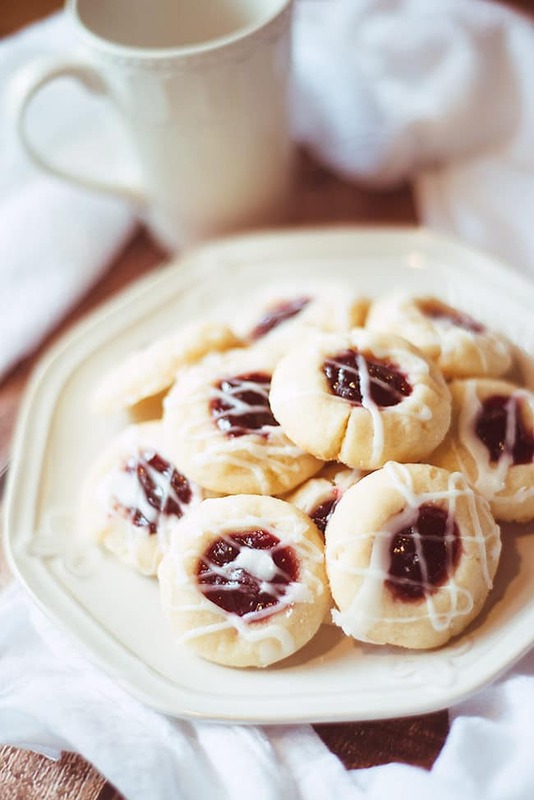 My gorgeous and dainty Raspberry Almond Shortbread Cookies are always a holiday favorite for my readers. The flavor can’t be beat, and just look at how PRETTY they are! 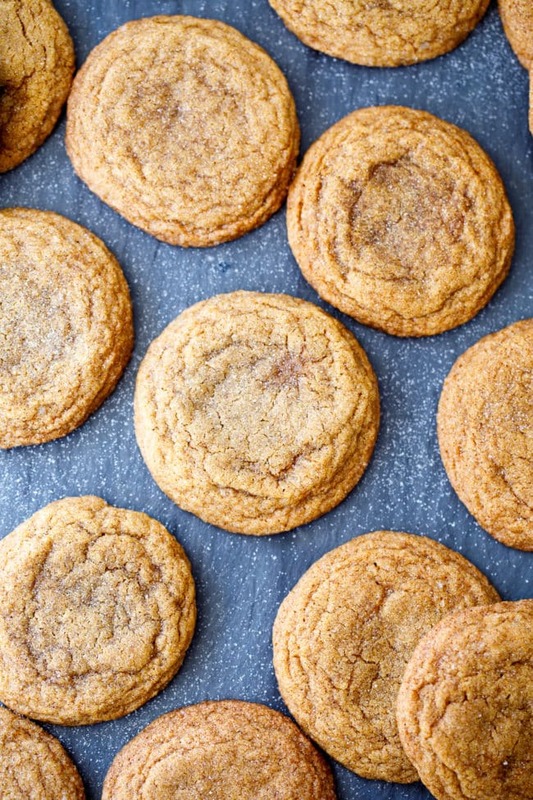 Y’all, these Soft Ginger Molasses Cookies may just be my favorite holiday treat of the season. These are so full of flavor and totally soft and chewy. 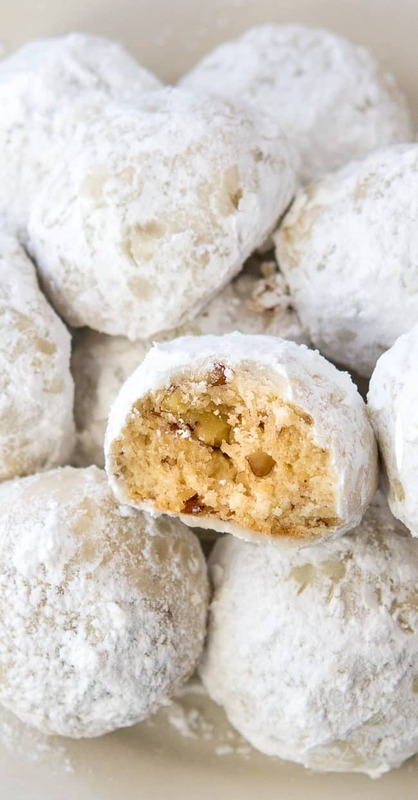 Definitely a great cookie to make for Christmas! No reason to mess with a classic! 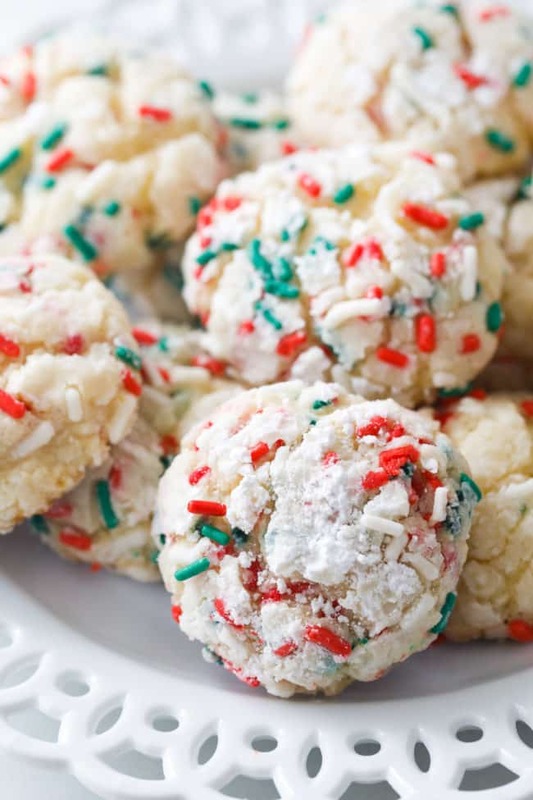 These Snowball Cookies are ALWAYS delicious! 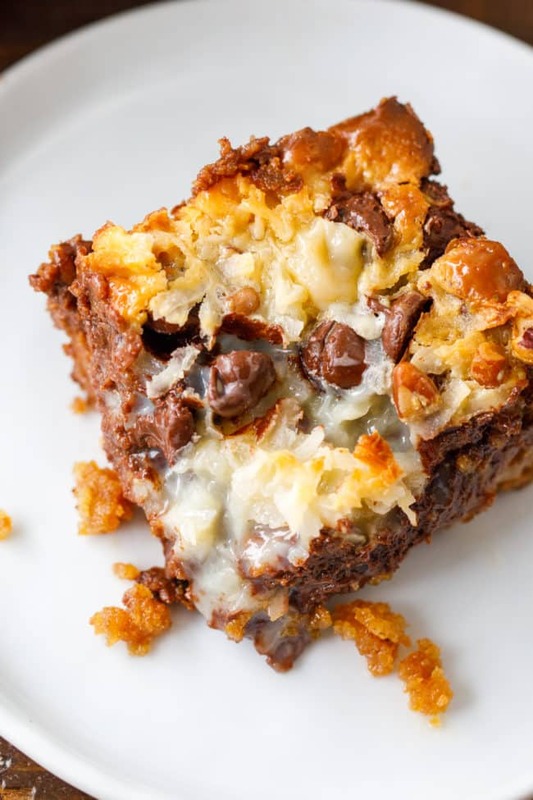 OH MY GOODNESS… these Coconut Magic Bars are my favorite dessert EVER. The best part is, they are incredibly simple to make. 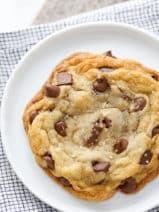 Just check out the video below, and be sure to share it on Facebook if you think it looks yummy. Are you team coconut like me or no? Friends, when I told you that I was going to share EASY, truly last-minute Christmas recipes, that’s what I meant. 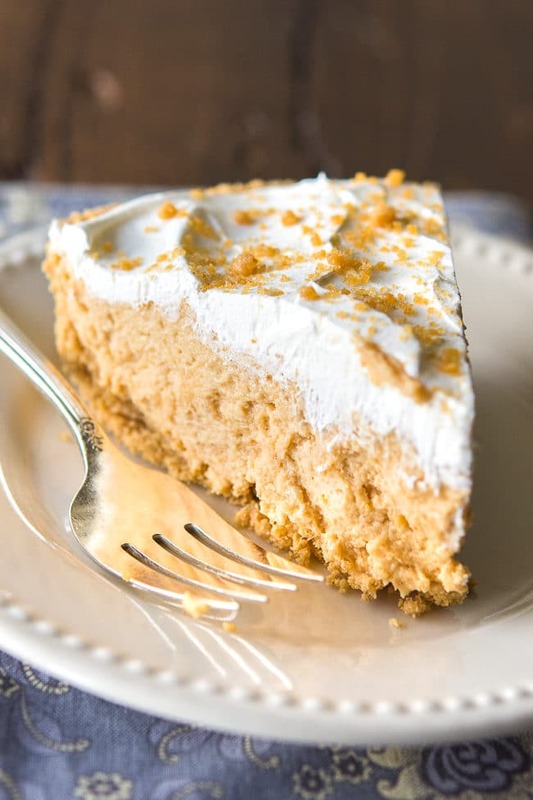 This Peanut Butter Pie doesn’t get any easier. Check out the video below and then hop to making your own!